Solimar Castro Valdez is eighteen and dazed with optimism when she embarks on a perilous journey across the US/Mexican border. Weeks later she arrives on her cousin's doorstep in Berkeley, CA, dazed by first love found then lost, and pregnant. This was not the plan. But amid the uncertainty of new motherhood and her American identity, Soli learns that when you have just one precious possession, you guard it with your life. For Soli, motherhood becomes her dwelling and the boy at her breast her hearth. Kavya Reddy has always followed her heart, much to her parents' chagrin. A mostly contented chef at a UC Berkeley sorority house, the unexpected desire to have a child descends like a cyclone in Kavya's mid-thirties. When she can't get pregnant, this desire will test her marriage, it will test her sanity, and it will set Kavya and her husband, Rishi, on a collision course with Soli, when she is detained and her infant son comes under Kavya's care. As Kavya learns to be a mother--the singing, story-telling, inventor-of-the-universe kind of mother she fantasized about being--she builds her love on a fault line, her heart wrapped around someone else's child. 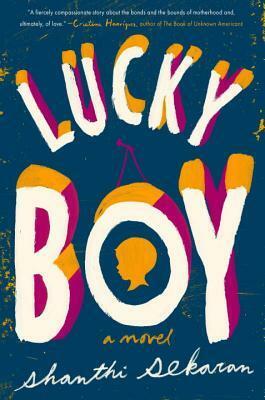 Lucky Boy is an emotional journey that will leave you certain of the redemptive beauty of this world. There are no bad guys in this story, no obvious hero. From rural Oaxaca to Berkeley’s Gourmet Ghetto to the dreamscapes of Silicon valley, author Shanthi Sekaran has taken real life and applied it to fiction; the results are moving and revelatory. When a synopsis describes a book as "an emotional journey" it isn't always the truth. Except with this book. With this book it's true. This story follows two very different women who have one very big (or small) thing in common: a little boy. When Soli ends up pregnant on her journey to America, things change for her. She'd fallen in love in the short time that she knew the father, but he disappears before they even make it to the border. While living with her cousin and being a full-time housekeeper for a wealthy family, Soli gives birth to a healthy little boy. Everything is fine until she and her cousin get pulled over one day. Kavya and Rishi want a baby, but it's hard. She miscarries once she does get pregnant and the couple start looking into other options. It isn't until they are called to meet a baby up for adoption does Kavya fall for little Iggy instead. They bring Iggy home and are instantly in love. Well, Kavya is. It takes Rishi a while to warm up, but eventually they form a nice little family. Only they don't know that Soli is out there and desperately wants her son back. So. This book is full of emotional twists and turns that will leave you smiling and crying at the same time. It's full of rich, bold words and feelings about family and children. The emotions these women feel are raw and real to the point that you start to feel them too. There are some things that you learn about what life is like for those searching for refuge that is so very sad, but you know it's true. I loved the story of these two strong, devoted women. Kavya's determination to be a mother is something to be admired, as is Soli's love for her son. This book evoked so many emotions from me, including anger! I had a high hope for the ending, but it didn't go the way I had envisioned it in my head. I know the author probably had her reasons for ending the story like she did; I just wish it had gone differently. Other than that, I loved this book. It was real and raw and make me feel all the things. Check it out in January. Thanks to G.P. 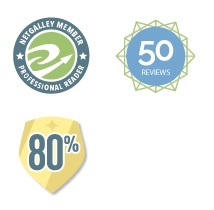 Putnam's Sons and NetGalley for the ARC.